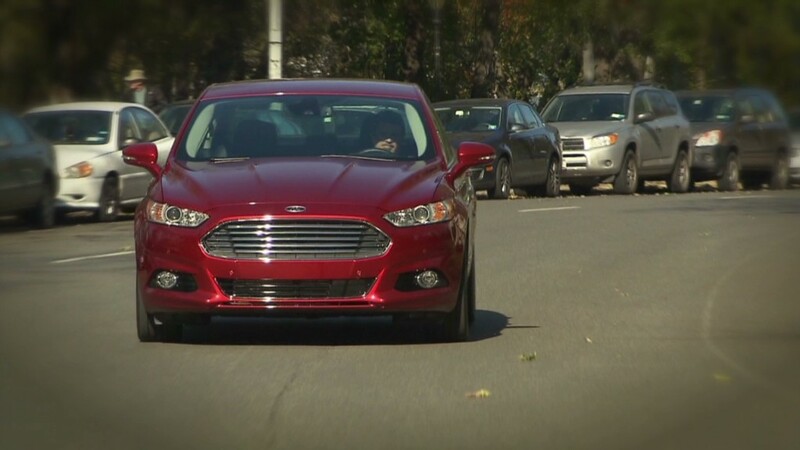 The Ford Fusion was named Green Car of the Year at this year's Los Angeles Auto Show. The new Fusion is available with a choice of three different four-cylinder gasoline engines: One designed for optimal fuel economy, one for performance and one for a low purchase price, which goes into a version starting at $21,700. These versions get a range of 31 to 37 miles per gallon in highway driving. There is also a hybrid model, which gets 47 miles per gallon in both city and highway driving. A plug-in hybrid version will be available early next year and is expected to get over 100 "miles per gallon equivalent," which takes into account battery-powered and gasoline-powered efficiency. The Green Car award is presented by Green Car Journal magazine. The winner is selected by a panel of judges that includes prominent environmentalists as well as celebrities like car aficionado and late night talk show host Jay Leno. Only cars that are new or were substantially redesigned for the 2013 model year are eligible. The Fusion was chosen from a field of five finalists that included the Ford C-Max, Toyota Prius c, Dodge Dart Aero and the Mazda CX-5.